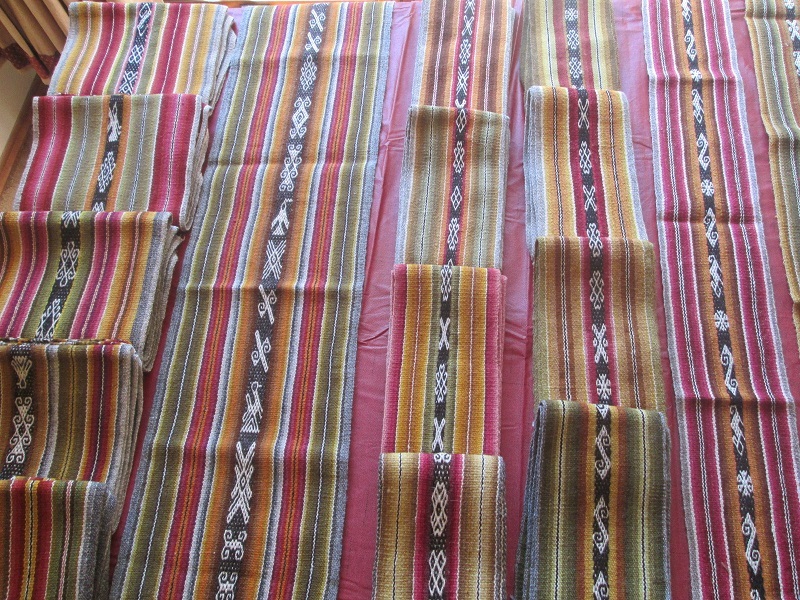 Two PAZA orders of Andean weavings with their unique color palette of dyes from local plants and cochineal have finally arrived in the U.S. 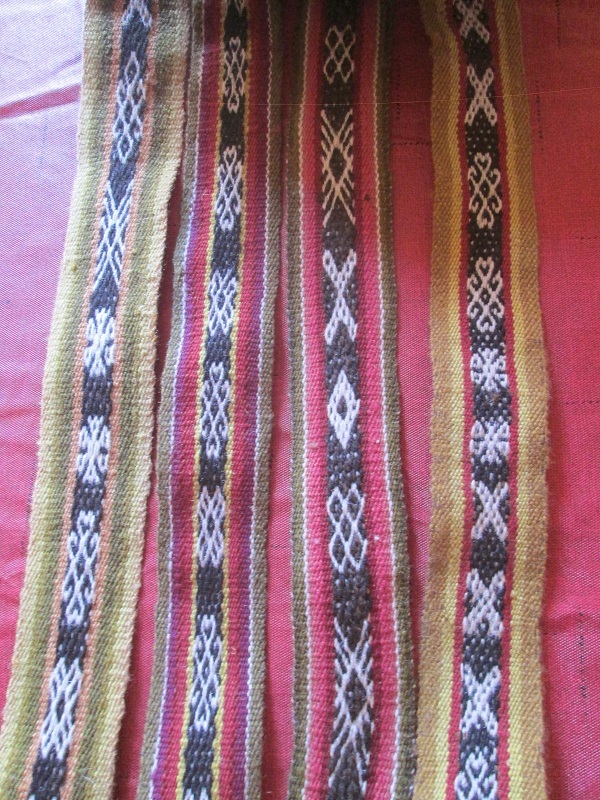 The motifs are woven using the painstaking pick-up pebble weave technique. 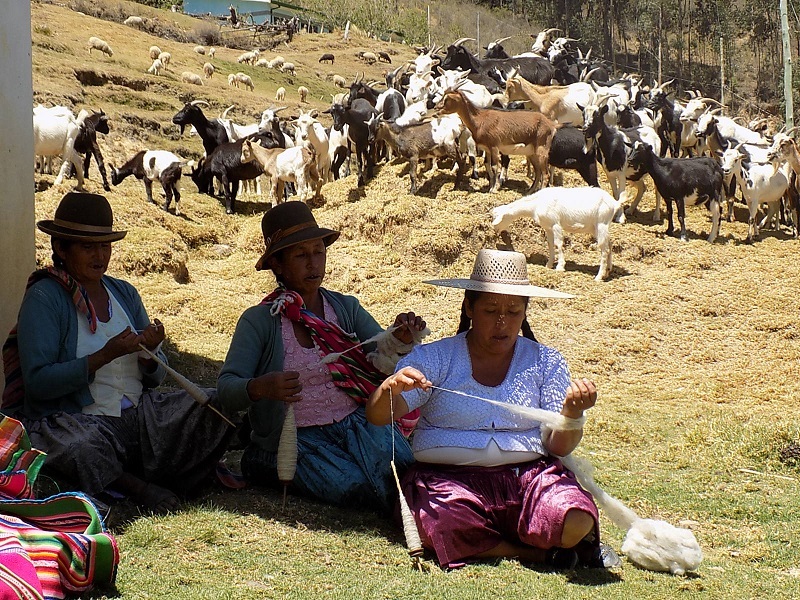 The weavings are wool and the yarn handspun and plyed with drop spindles. 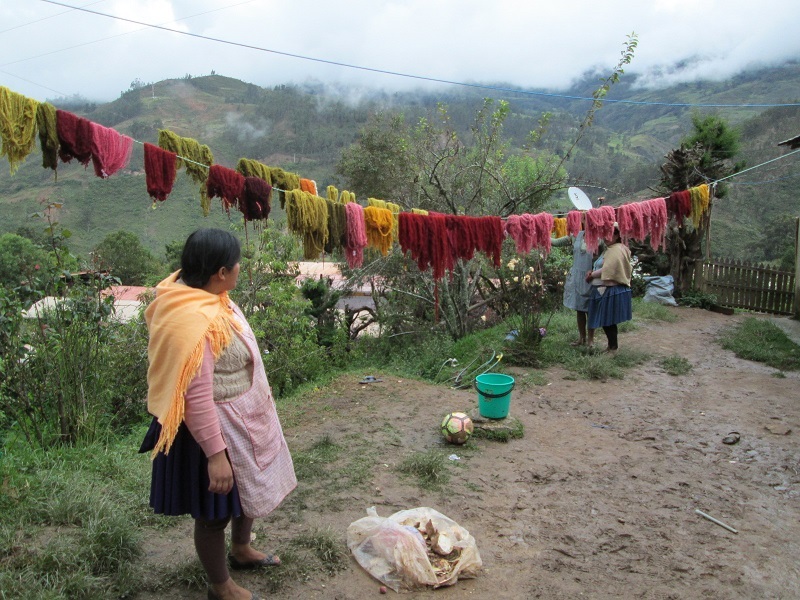 The weavers had additional weavings for sale, but most of those gorgeous textiles had to be left behind for lack of luggage space. 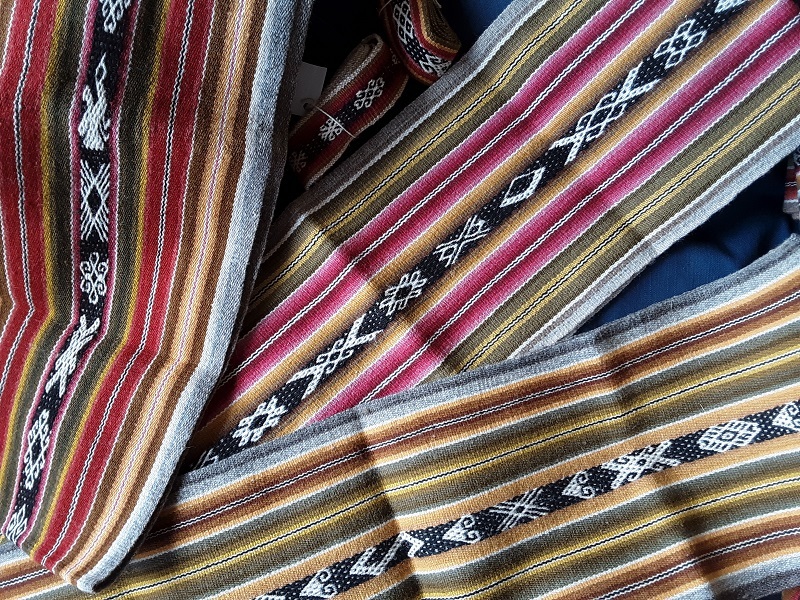 The next trip is tentatively scheduled for September and intrepid textile aficionados are welcome to join to make their textile selection directly from the weavers. 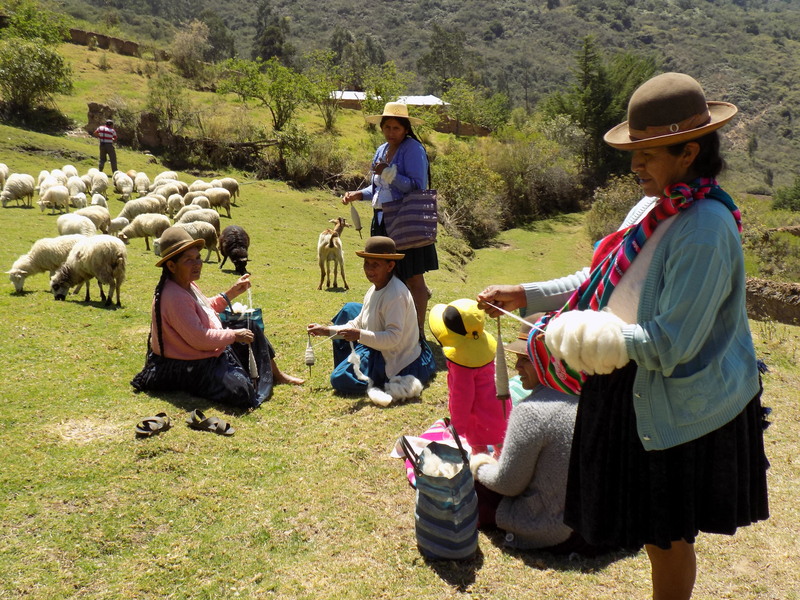 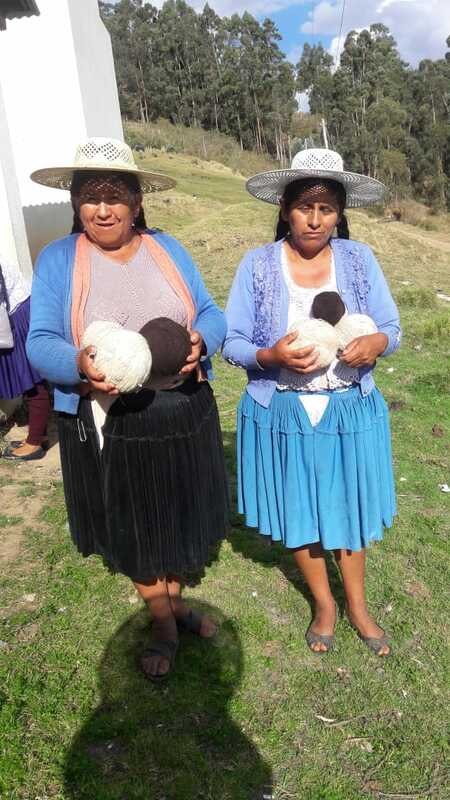 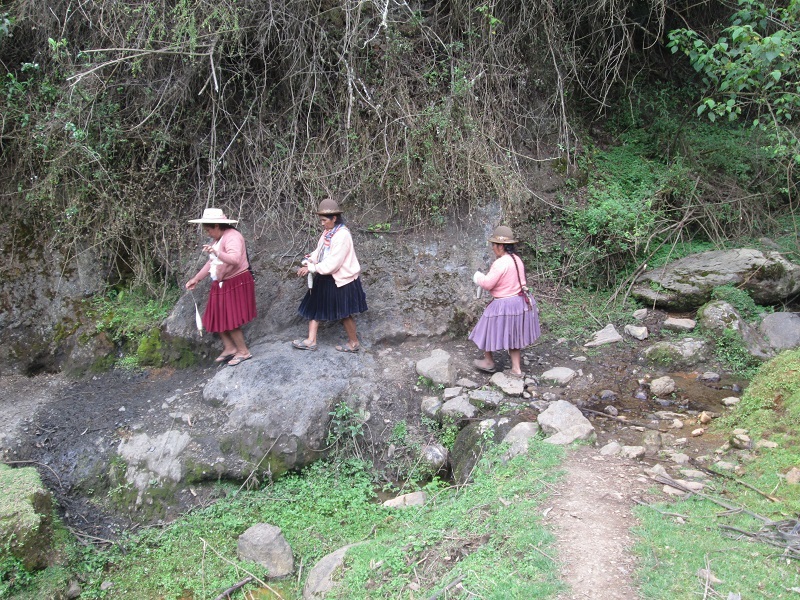 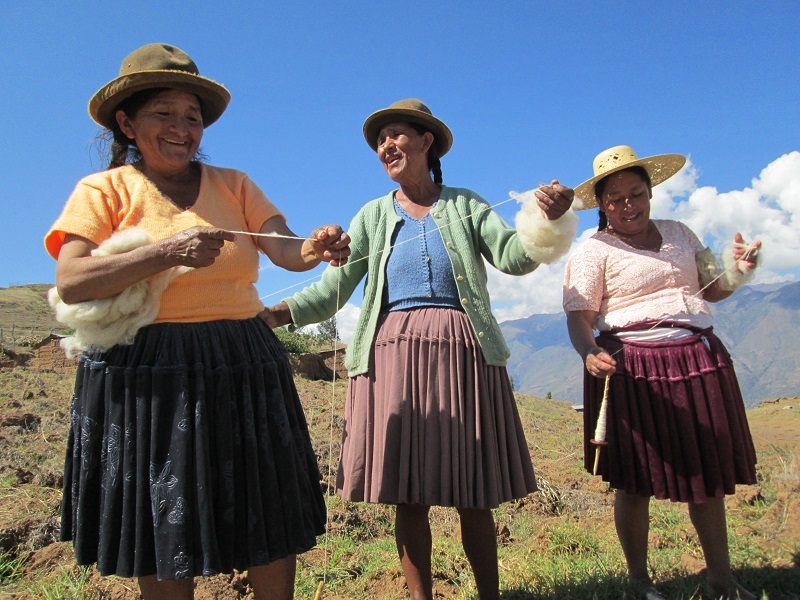 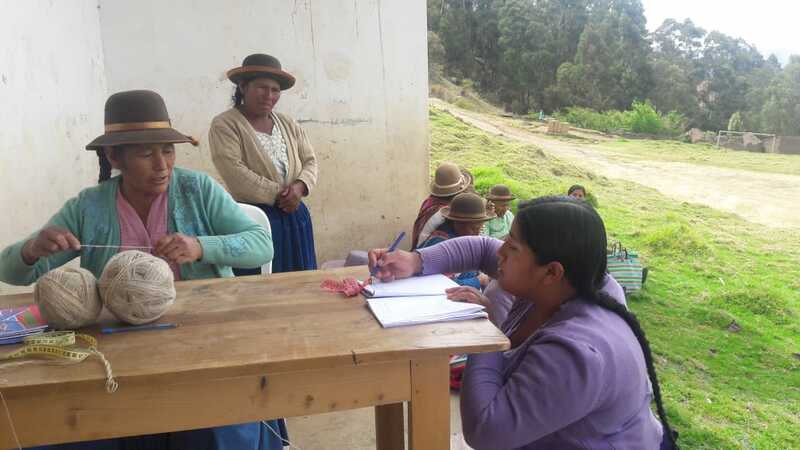 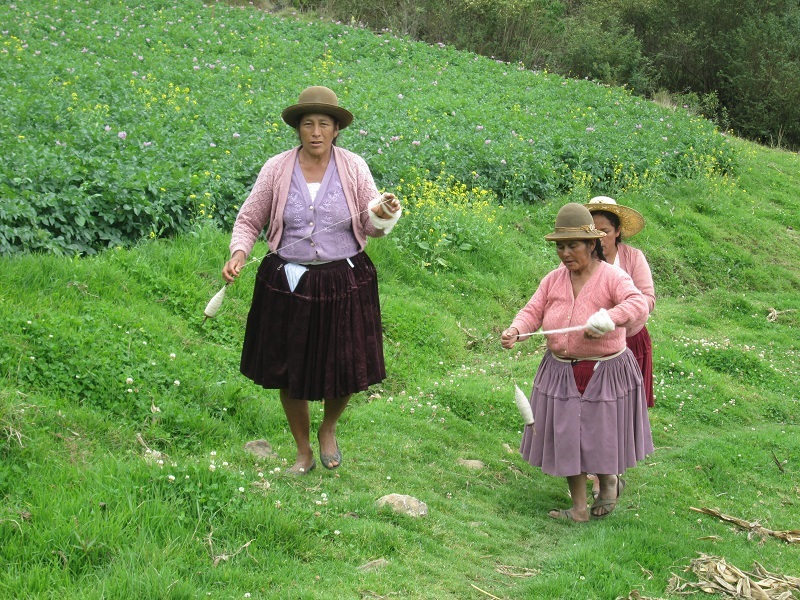 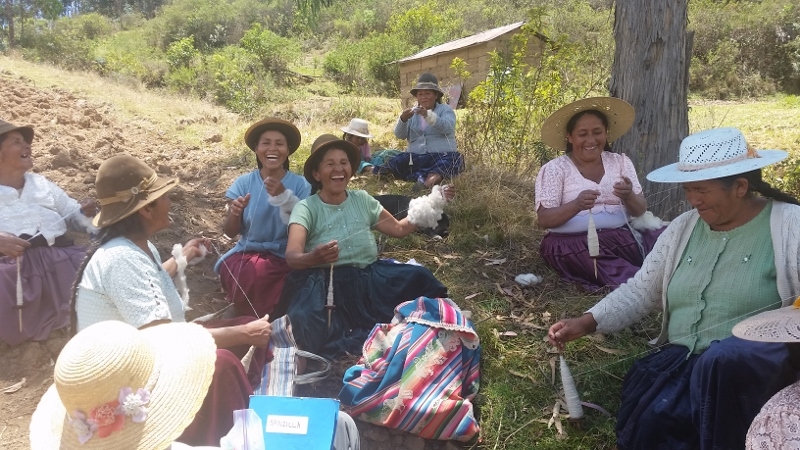 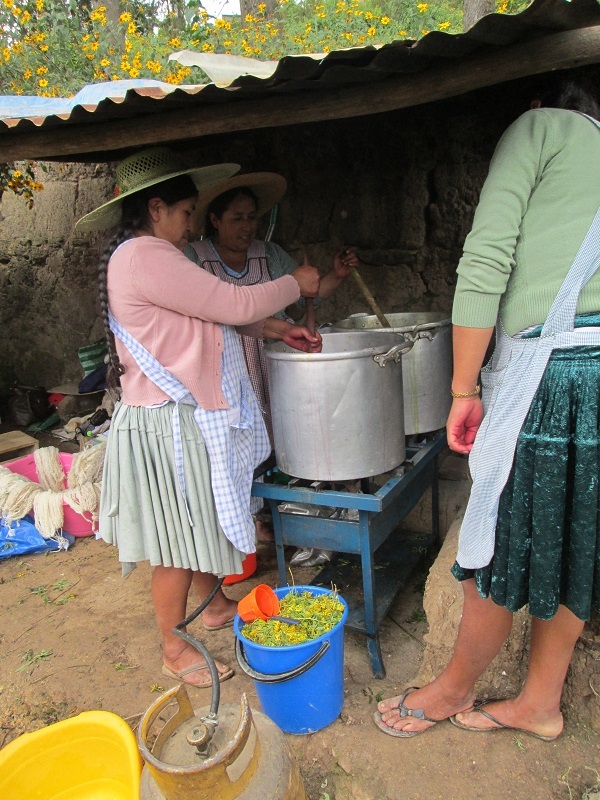 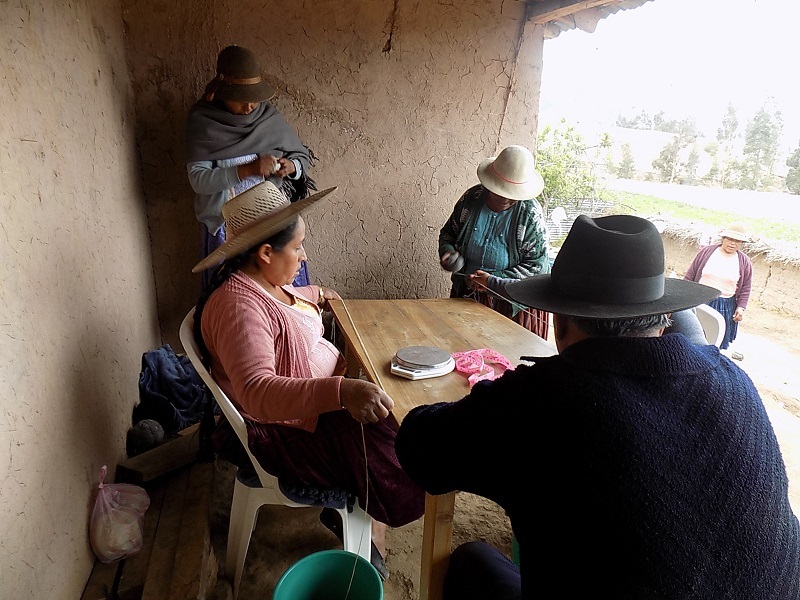 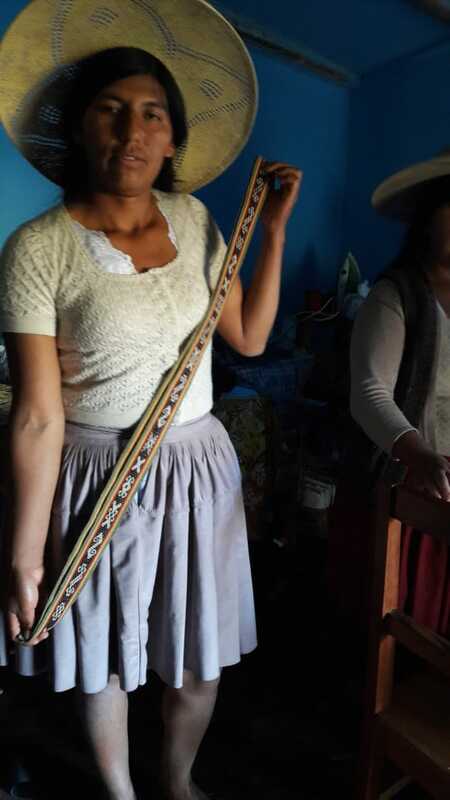 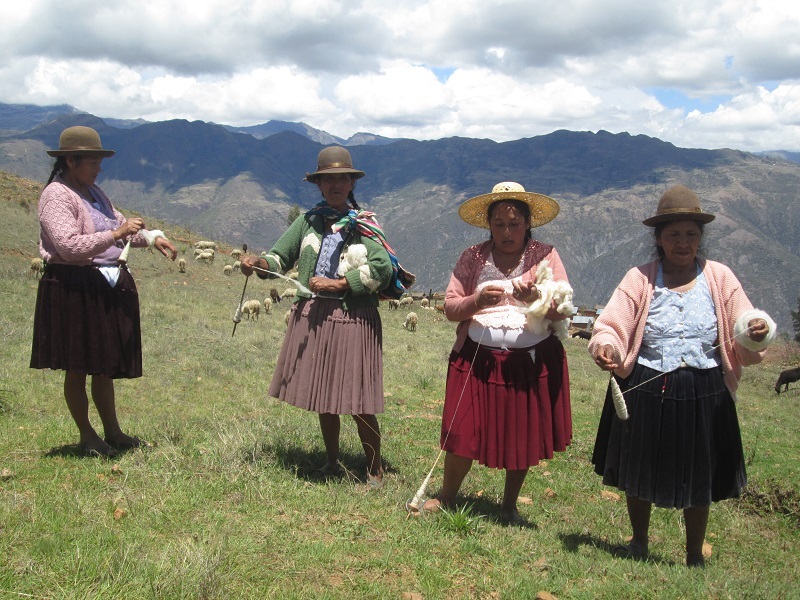 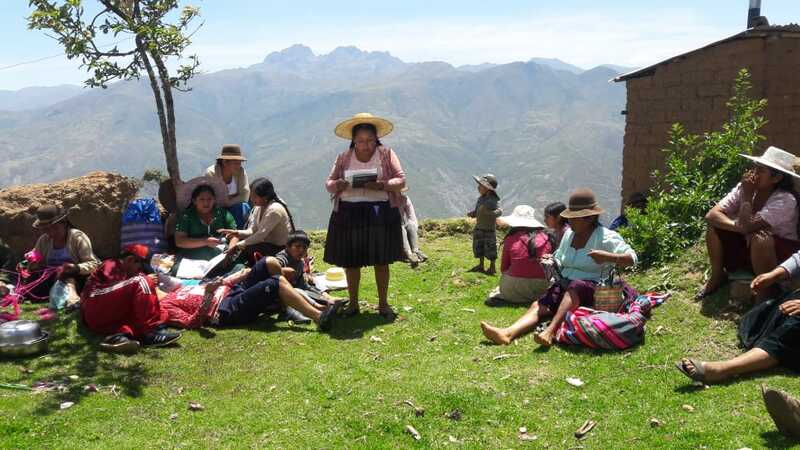 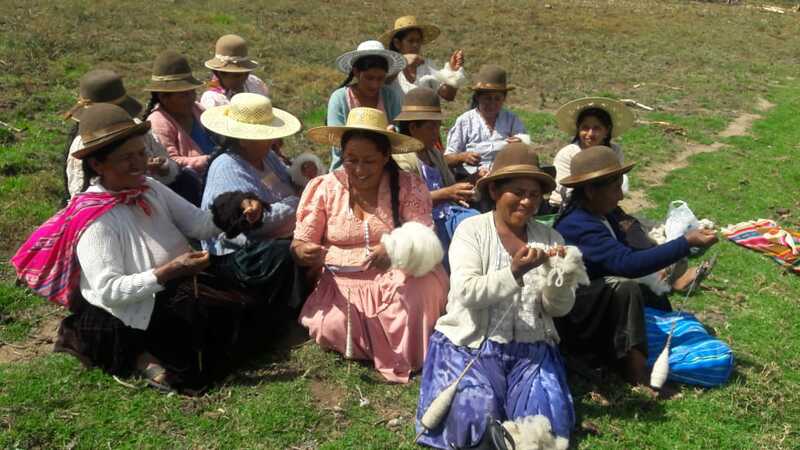 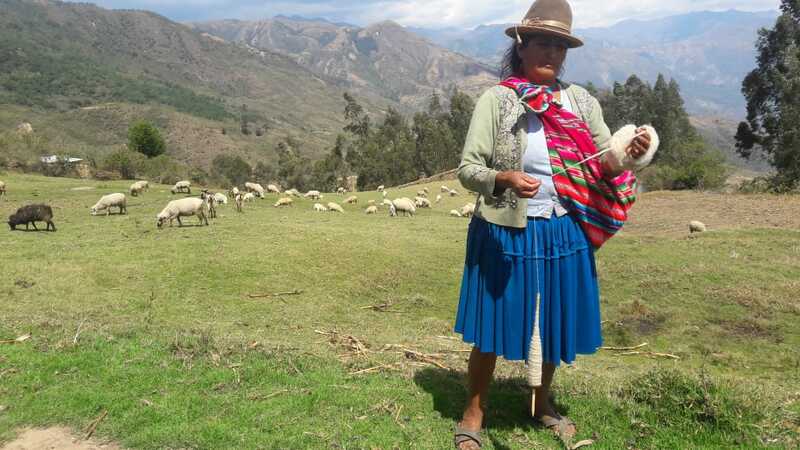 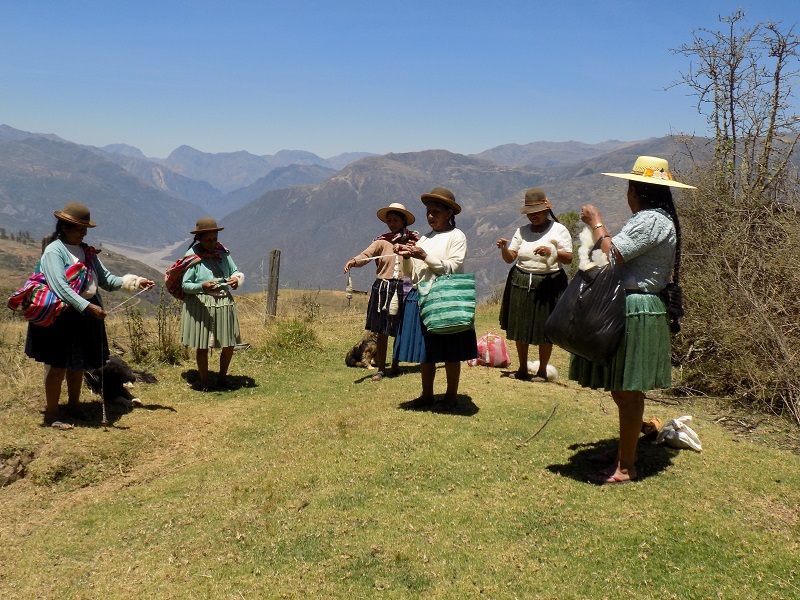 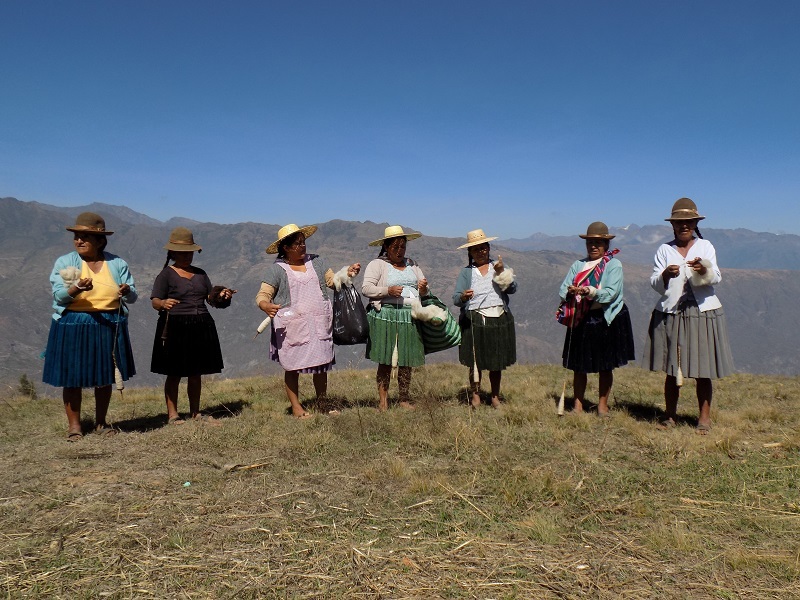 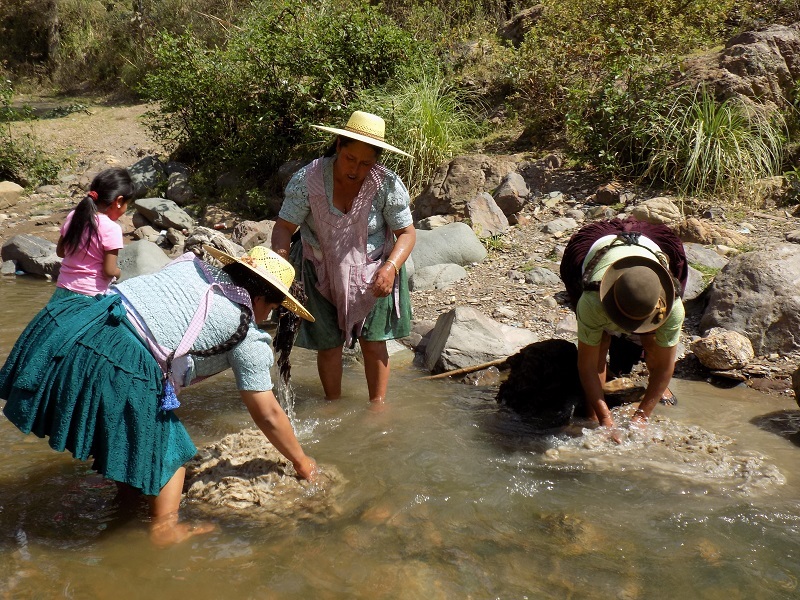 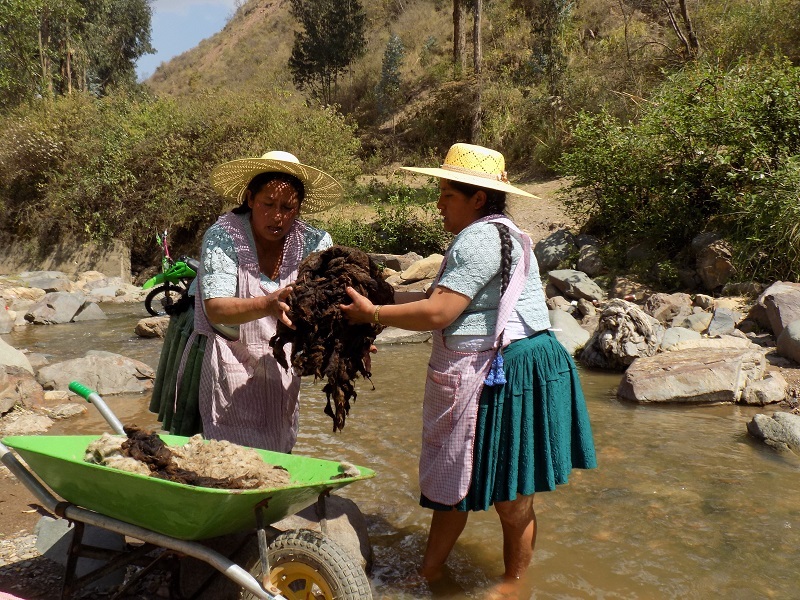 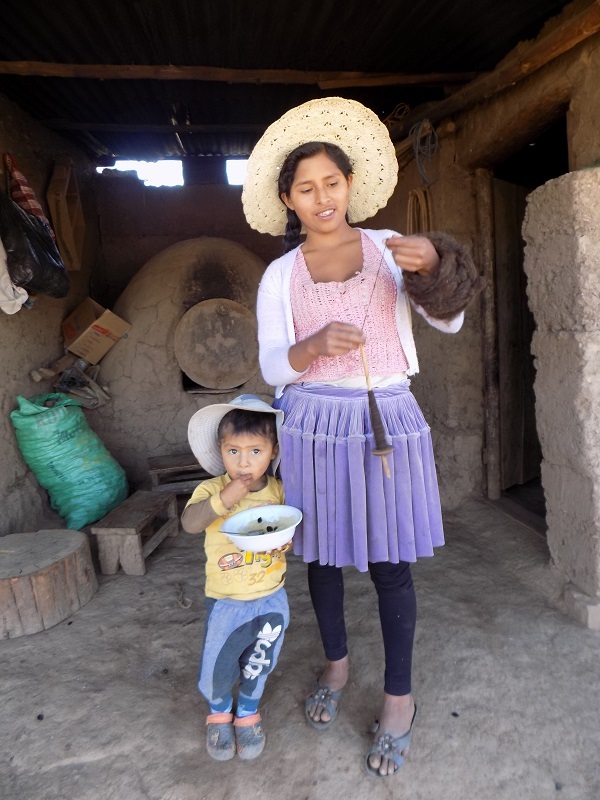 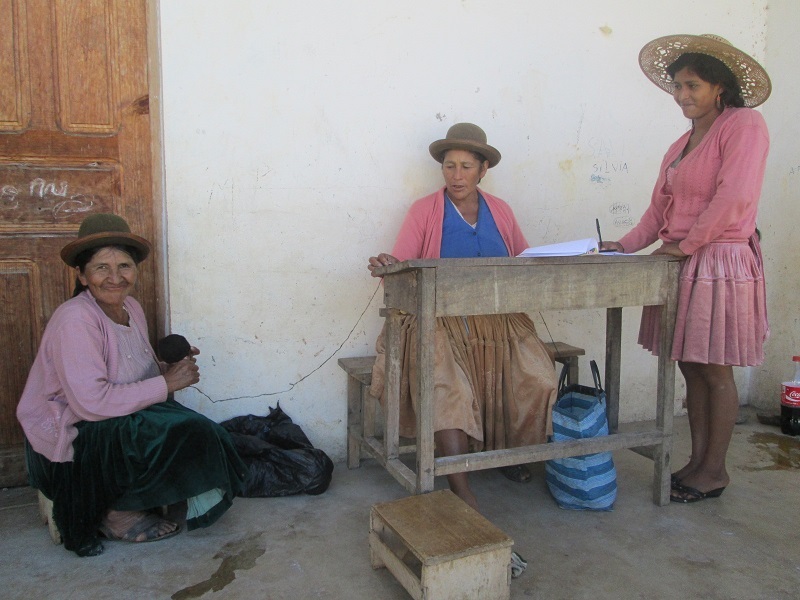 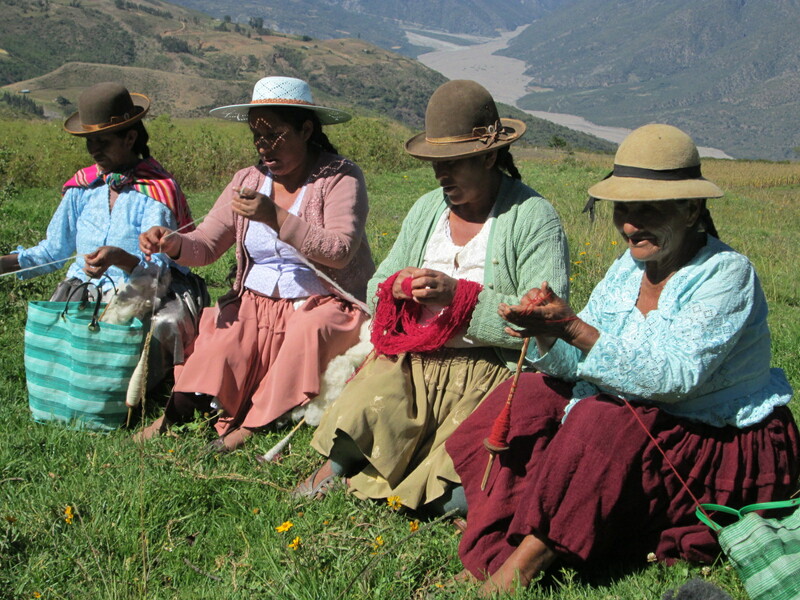 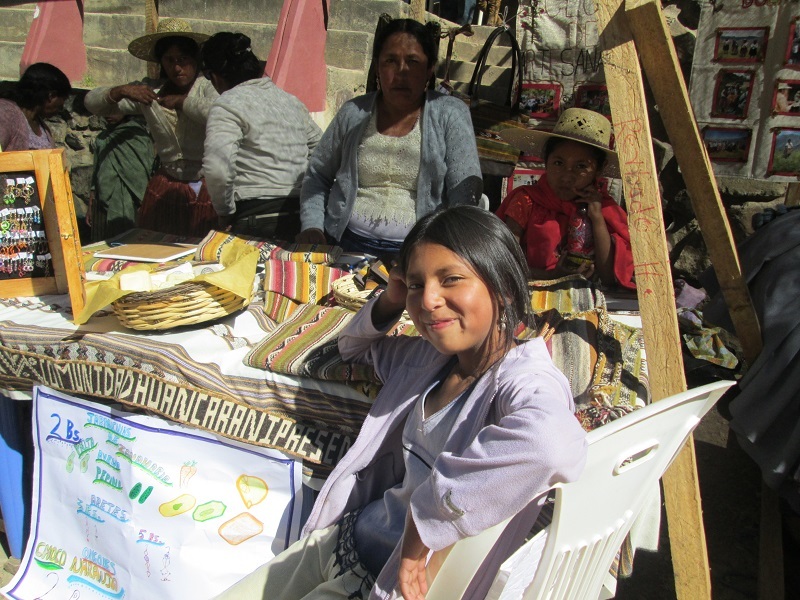 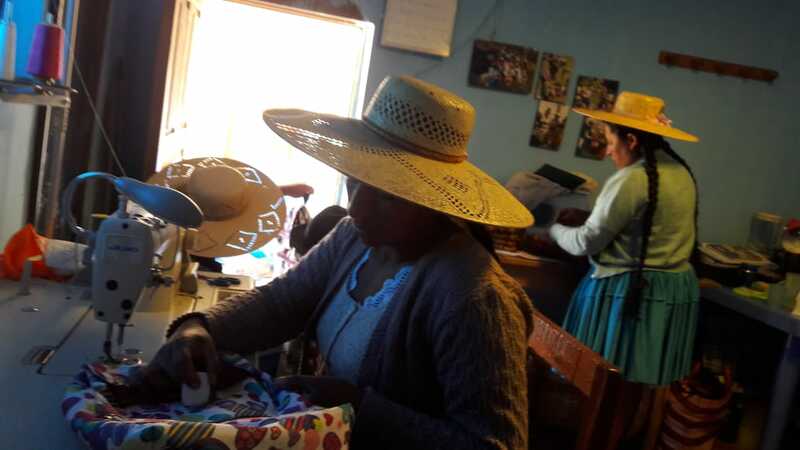 Weaving classes to learn Andean motifs may be arranged with Doña Maxima. 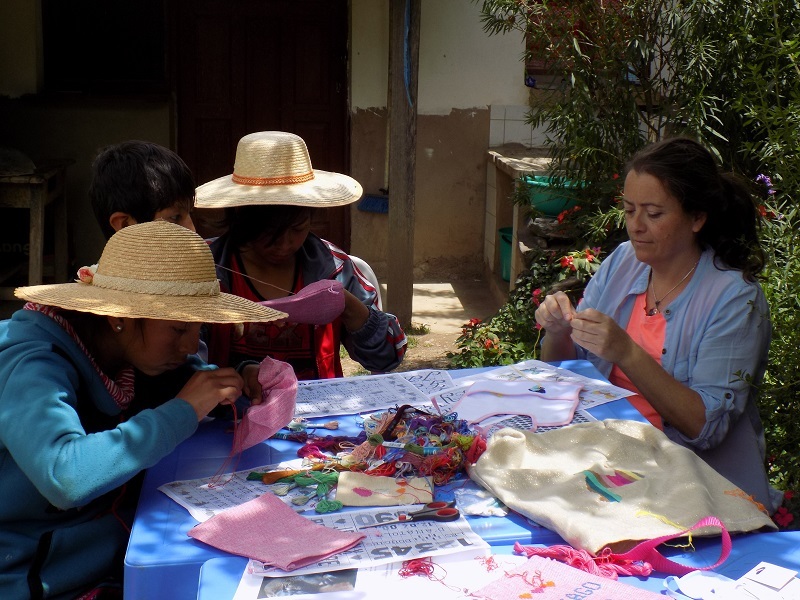 Travelers wishing to teach sewing, knitting, or crochet workshops will fill a resource need. 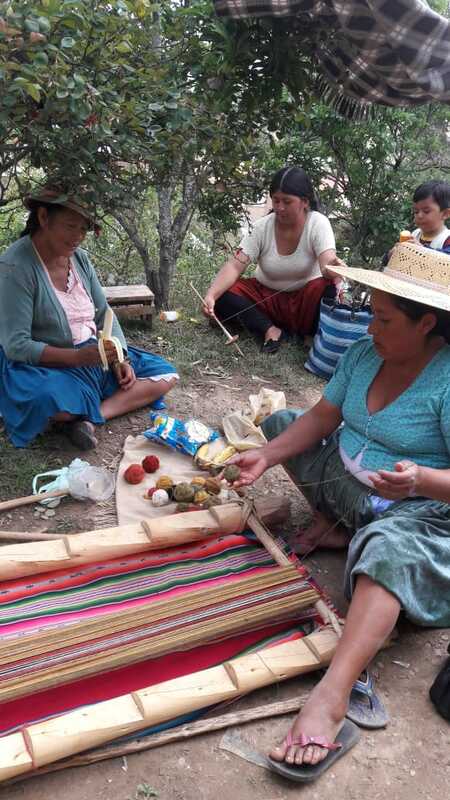 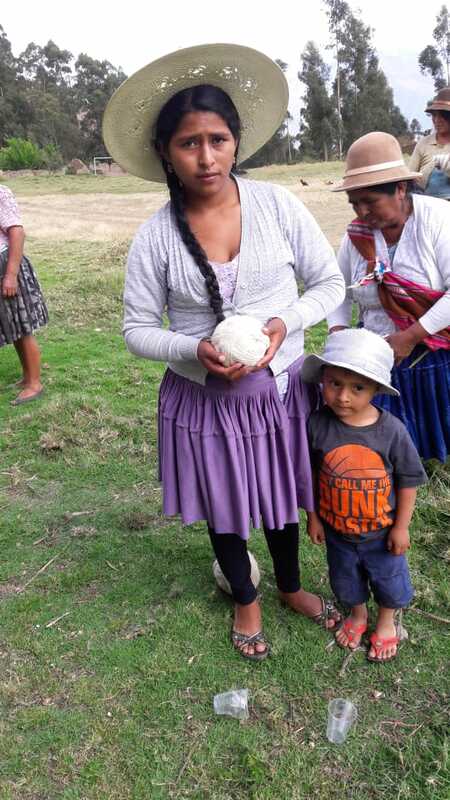 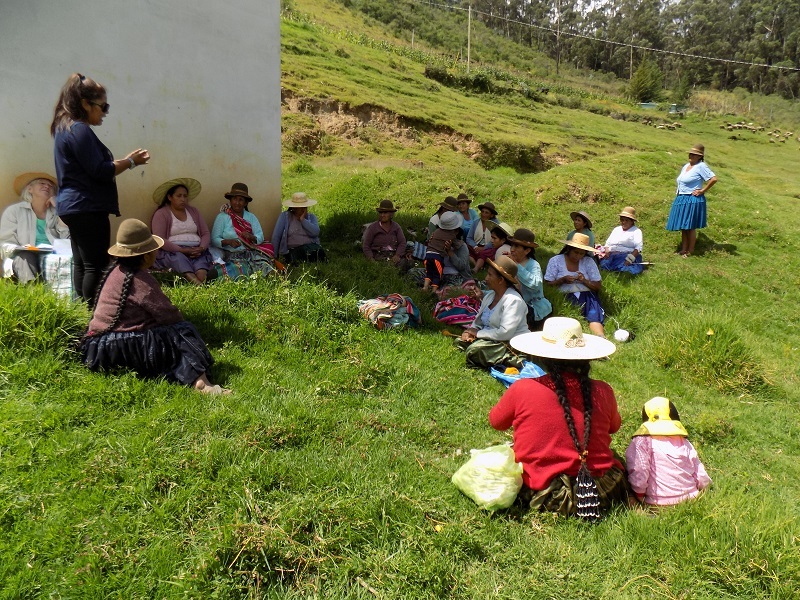 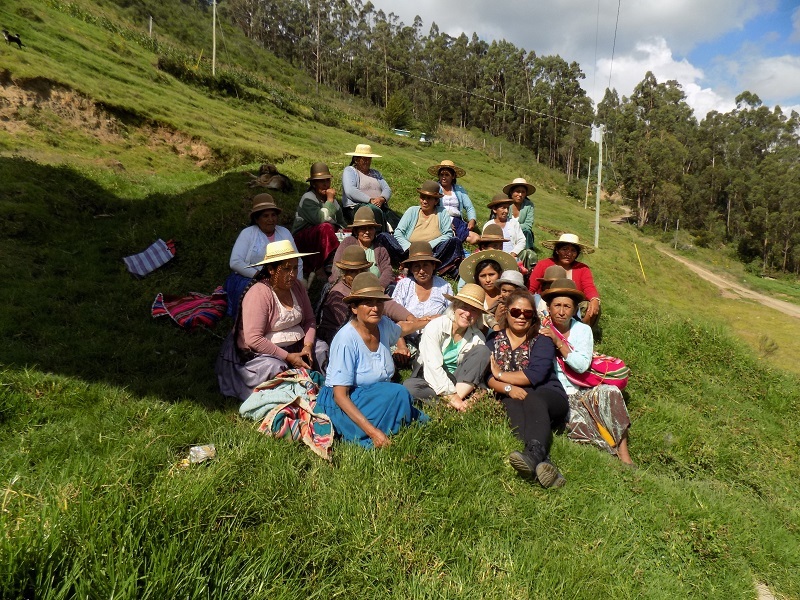 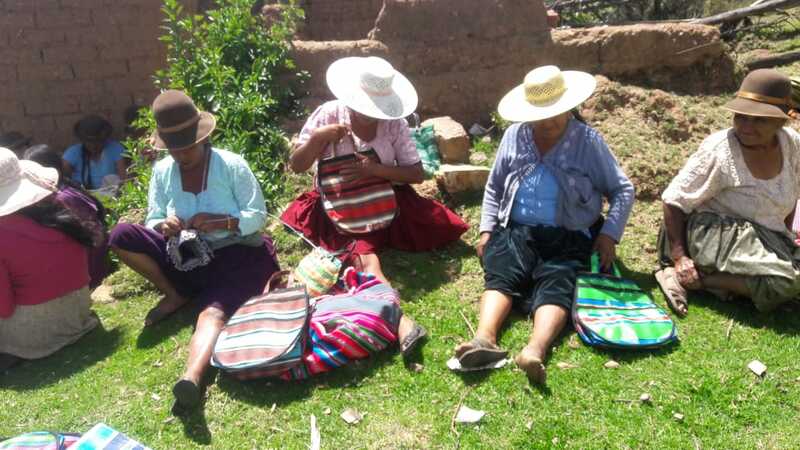 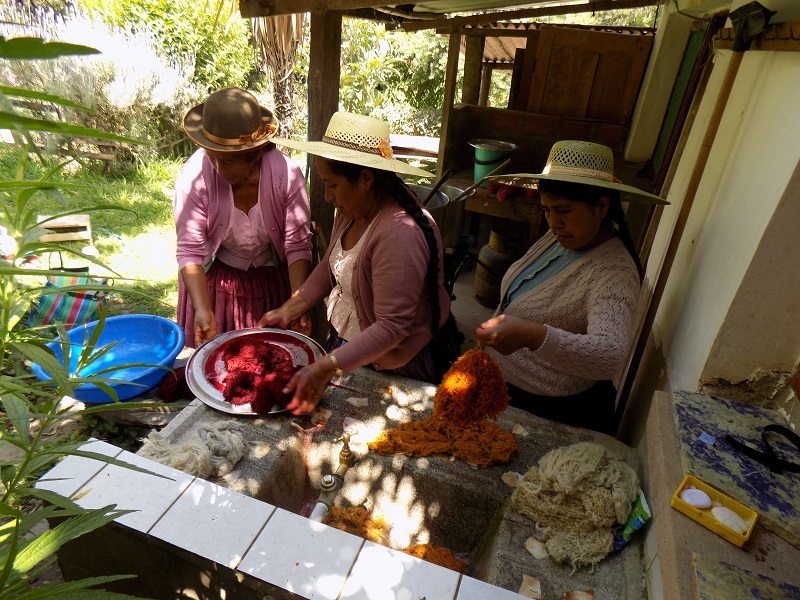 Future blog posts will tell the tales and announce the news of upcoming fun activities planned by PAZA and the Bolivian weavers during the recent dye days and meetings in Independencia. 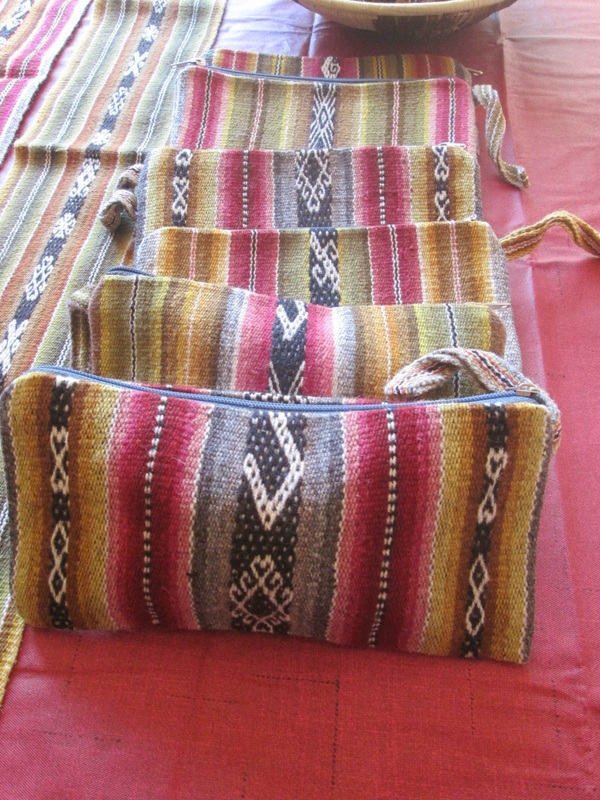 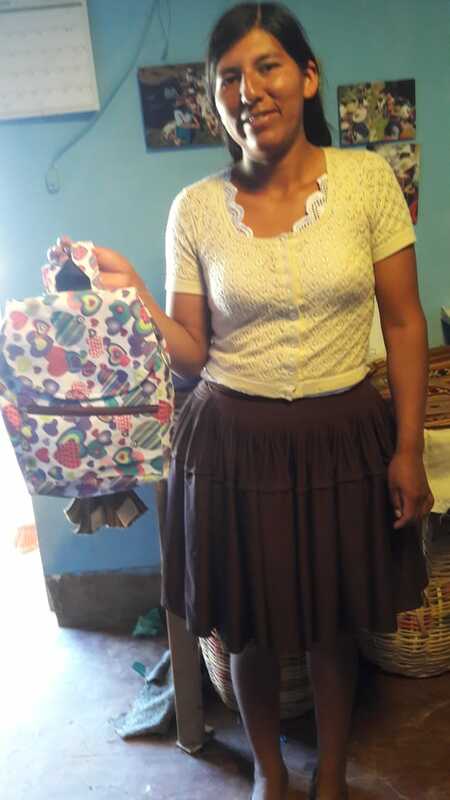 The priority today, is to get the word out and sell the recently arrived textiles so that another order can be placed. 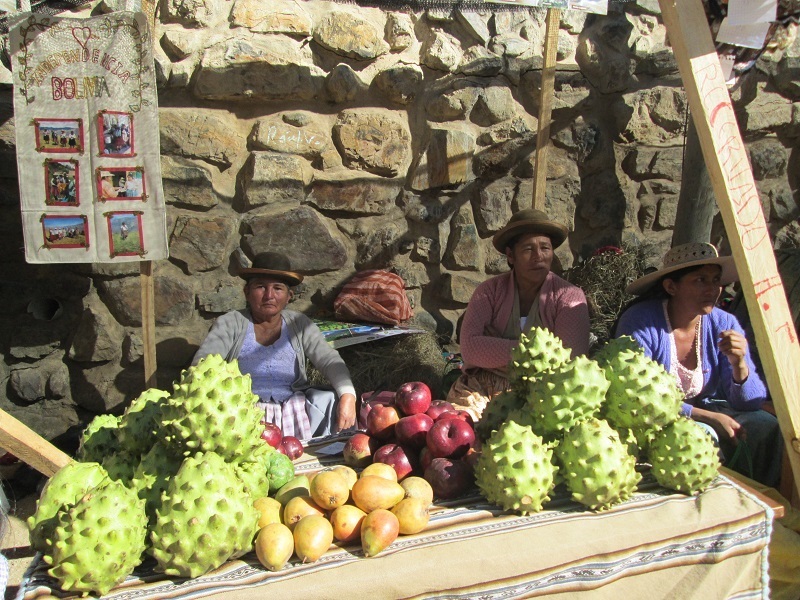 Purchases may be made between April 14th and 21st and again after May 15th. 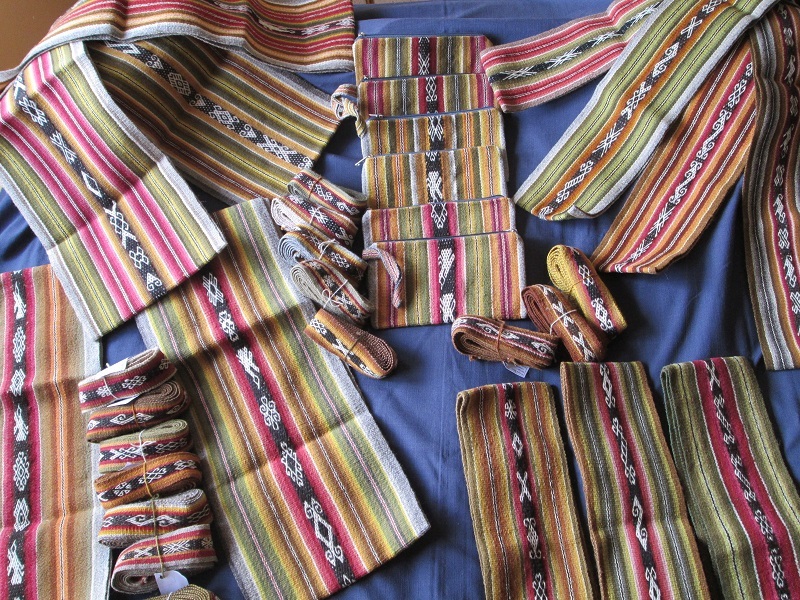 Fajas (traditional belts), which are 70” long x 5” wide, $38. 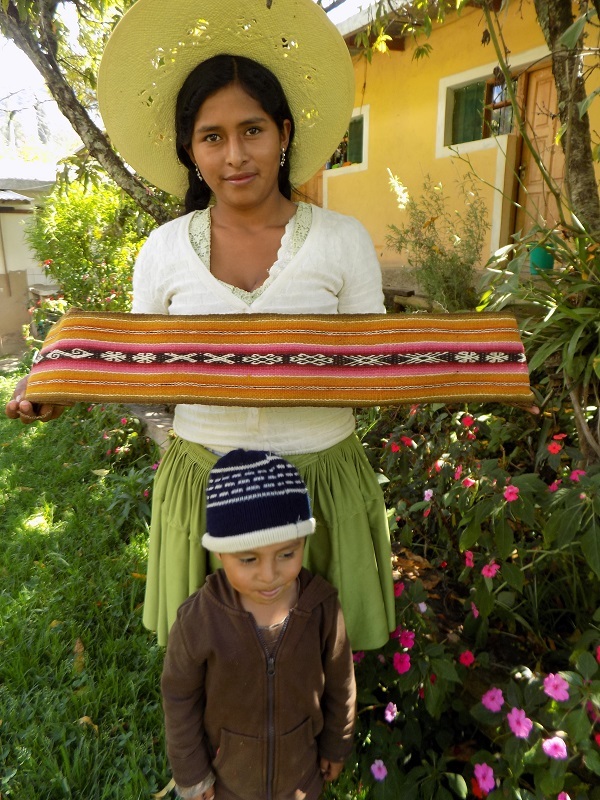 The yoga mats have been discontinued, but there are still a few dozen of each of the 2 sizes available. 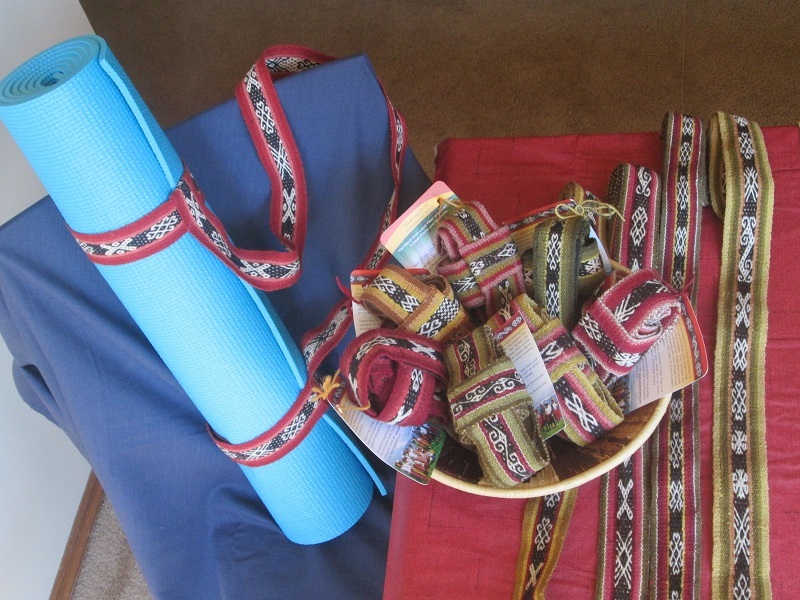 The straps for thin 1/8” sticky yoga mats are $22, and the straps for thicker ¼” thick exercise mats are $23. 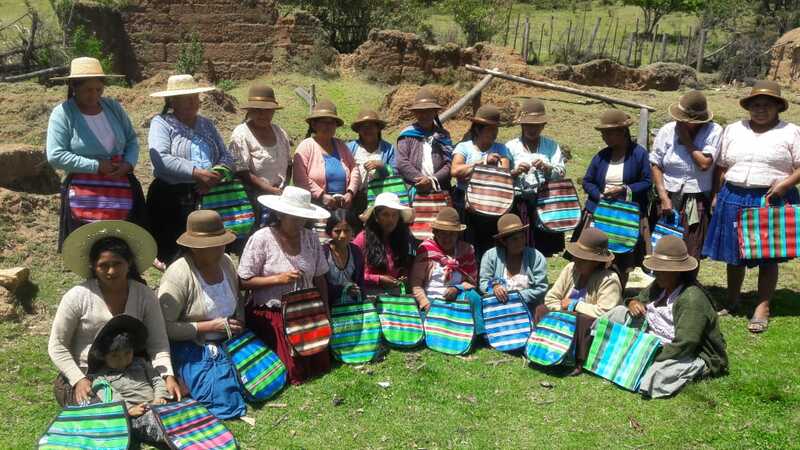 Only 5 chuspas (shoulder bags) were purchased, and they are $65. 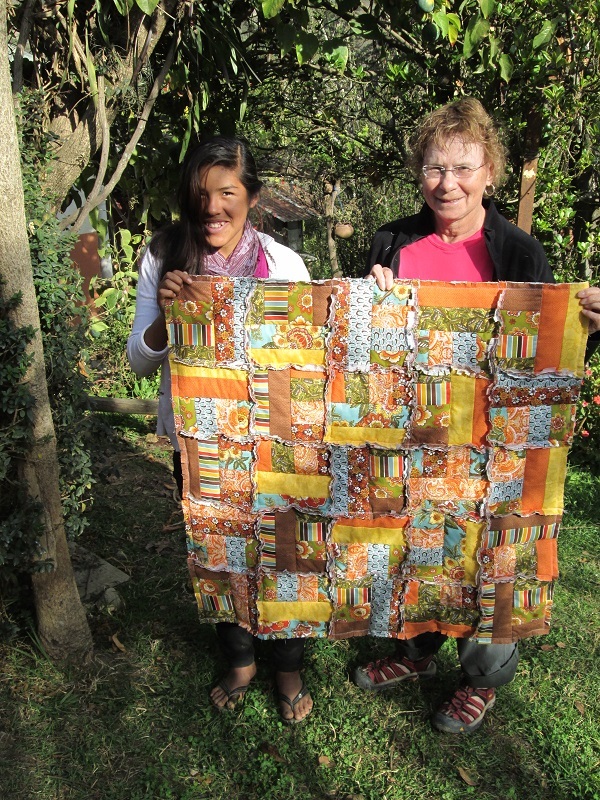 Please send order inquiries to Dorinda Dutcher, dkdutcher@hotmail.com.